As with everything we do, the safety and security of our participants is our number one priority. 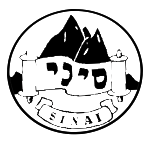 Sinai will have 24/7 security to secure our camp site this year. We will follow all measures that we are advised to take and are in constant contact with local authorities and police. All of our events and camps have a no-nut policy. We will send out a reminder to all parents and leaders advising them not to bring snacks/confectionary containing nuts. Stimulants and energy drinks should also not be brought to camp. If your child suffers from specific dietary requirements and you are providing special food please pack it appropriately remembering to label it clearly with your child’s name, year group and write medical on it. Please then hand it in with other medication on departure day. Please reassure your child that they may come on camp even if they bed wet. We are experienced at dealing with this and ensure that they feel safe and comfortable at all times. We advise you to pack a waterproof sheet and label it “medication” and then hand this in on departure day. The Welfare Officer at camp will place it discreetly on your child’s bed. Please tell your child that the Welfare Officer has been informed and is used to dealing with this situation. Together, your child and the Welfare Officer can decide where to place a spare set of bedding so that your child can change it if necessary. Additionally, the two of them can discuss other strategies that will help your child to cope. All medication brought to camp must be clearly labelled and handed in at the start of camp. The welfare officer will be in charge of handing out the medicine at the prescribed time each day to the participant. Any child who brings an epi-pen or inhaler to camp must bring at least two to camp in a clearly marked container, no plastic bags, one to be handed in and one to be kept with the participant at all times.